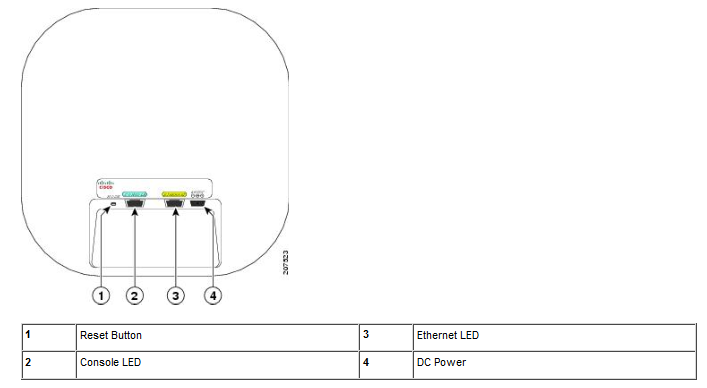 Step 12. ap: ether_init – NOTE: during this time it’s not possible to ping. According to a report by Wall Street Journal confirmed by FORBES & BLOOMBERG & Tech times American semiconductor company Qualcomm is currently working on a deal for the acquisition of another chip manufacturer, NXP Semiconductors. According to the Wall Street Journal, Qualcomm is looking to finalize the acquisition within the next three months. Analysts estimate that Qualcomm may have to spend as much as $30 billion to acquire the Netherlands-based chip maker, in what would be the latest shift in the arena of semiconductors. Note that Japanese internet and telecommunications conglomerate SoftBank announced its takeover of UK-based chip designer ARM Holdings for $32 billion back in July. NXP Semiconductors, which was formerly known as Philips Semiconductors, was founded in 1953. In 2002, the company partnered with Sony and invented the NFC technology found in modern smartphones running on both iOS and Android. The technology provides the backbone for contactless mobile payment systems such as Apple Pay, Android Pay and Samsung Pay. NFC is also capable of smartphone automation via NFC tags. It also has applications for games and gaming controllers. In fact, Microsoft released a Kinect development kit that incorporates NFC technology. Aside from NFC chips, NXP also has its own lineup of automotive microcontrollers and processors as well as RF products and ARM SoCs. In 2006, NXP was sold to a group of private equity investors but it wasn’t until 2010 that it completed its IPO. In 2015, NXP acquired Freescale Semiconductor, a Texas-based chip designer and manufacturer, for $12 billion. The acquisition of Freescale cemented NXP’s position as the leading automotive chipmaker and added to its existing business in audio infotainment, vehicle networks and security. NXP automotive unit chief executive Kurt Sievers commented that the Freescale acquisition pushed NXP into new application areas in cars including powertrain, safety and body electronics. NXP reported a $6.1 billion revenue for 2015 that gave the company a $1.5 billion net income. As of this year, the chipmaker listed a total of 45,000 employees that work in its manufacturing sites, wafer fabs and test and assembly facilities in more than 35 countries. Analysts think NXP’s product portfolio complements that of Qualcomm’s. Moreover, when Qualcomm acquires NXP, it can open new lines of business and put the company in a dominant position as an automotive chip supplier. Note that Qualcomm has been poking at the auto industry as of late and started to introduce chips and modems that are specifically tailored for connected automobiles, that is the Snapdragon 820. Moreover, branching out to new markets can help ensure that Qualcomm financials stay solid. The company’s revenues have fallen significantly starting from Q2 2015 due to canceled deals and underperformance within the smartphone market. Qualcomm’s plans of expanding its business beyond mobile computing is evident in the recent release of Snapdragon 600E and 410E SoCs, which are both open to third-party distributors. “Snapdragon is a powerful and versatile processor with many potential applications in a wide variety of IoT applications and we can now offer this technology to a much wider range of customers with the additional benefit of long-term support and availability,” says Qualcomm SVP of product management Raj Talluri. Both chips can be used on robots, smart appliances and everything in between. Near Field Communication – or NFC as it’s commonly known – is a technology that’s been growing for a couple of years now. But what is it and why would you want to use it? NFC is a short-range wireless technology that allows the exchange of data between devices. It only works with short distances of about four inches at the most, so you have to be very close to another NFC enabled device to transfer the data. Here are some reasons to get excited about having NFC on your phone. 1. Leave your wallet at home. With the new Android Pay, your smartphone has the ability to remember your credit/debit card details. At the moment, these details are stored in Wallet and can be referred to when you need to type in your card details, or also when making purchases from Windows Phone Store. Additionally, the ability to tap your phone against an NFC-enabled point-of-sale terminal will be coming in the near future – you’ll then be able to ditch the real-world wallet for good and opt for a digital one. 2. If you’re out of town and staying in a hotel, your door keycard information could be stored on your phone, meaning you’ll never leave your hotel room again without the door key. While this isn’t immediately available, tests have already taken place in a chain of hotels by Nordic Choice Hotels showing that it’s a real possibility. 3. Use your phone as a pass for use on transport systems. Just swipe your phone across the NFC reader, like you do with already existing contactless travel cards. Contactless systems exist in the UK, Germany, China and all around the world. 4. Swapping business cards can be done virtually, easier and cheaper than it’s done now. Put two phones in close proximity with each other and let the phones do the transfer. You’ll never have to buy business cards again, as the data can be rewritten if needed when you change jobs, or change your number. 5. If you do a lot of browsing on your Lumia 920 or Lumia 820 and like to share those great webpages with your friends, you can now send and receive links via NFC. When you’re on a website, selecting the More option will open up a few options. Select Share Page and then Tap+Send to start the link transfer when you’re phone is held against another NFC-enabled phone, or NFC-enabled Windows 8 PC. 6. Your loyalty is important for businesses and they usually offer a discount for returning customers. In the future, loyalty cards could be thrown out and your details held on your phone. Buy those shoes you’ve had your eye on with a swipe of your phone. The store will also recognize your loyalty and give the discount. 7. Location aware apps could make use of this technology too. For example, users of Foursquare have to load up the app, find the location, and press the check-in button to check-in. However, there’s no reason that this can’t all be done using NFC. Hold your phone to an NFC reader and let the system tell all your friends where you are. 8. Sending photos or videos to your friends or family is now made really simple, by using the Tap+Send feature on your Phone. Selecting the Tap+Send option within an image or video will start the process – tapping your phone against another NFC-enabled phone will complete it. 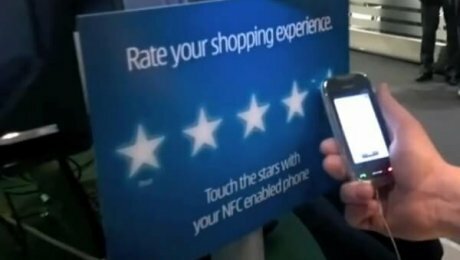 That’s just eight ways NFC could be useful to you when you go about your daily routine. But I’m sure there are more ways to use this technology that we’ve not thought of. NFC is going to make lots of things much easier, leaving you with more time to do other, more important things. How would you like to see NFC used? Will you be using NFC? Let us know your thoughts and ideas, in the comments box below. nfc-phonesnfc-solutionnfc-solutionswhy you need nfc phonesWhy you should have NFC Phones? 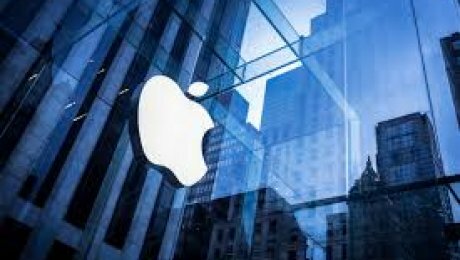 According to business insider and Payment Briefing a group of South Korean finance firms including Hankook NFC, Kona I, and Cashbee held discussions to start a complaint against Apple with the Fair Trade Commission and Korea Communications Commission, according to Business Korea. As a result of Apple’s closed API policy for NFC capabilities. The firms’ main complaint is that Apple limits access to the hardware necessary for firms to build NFC-enabled applications, like proprietary mobile wallets. Because Apple holds a virtual monopoly over its NFC chip, these firms are frustrated that they can’t build proprietary iPhone apps for contactless functions that customers want, like transit payment, particularly since NFC-based apps are popular among South Korean Android users. 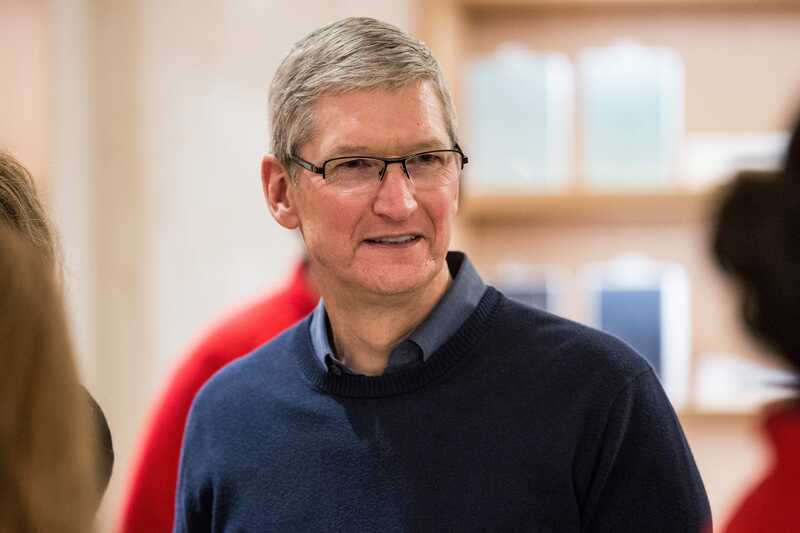 Korean firms aren’t alone in their fight against Apple. This complaint comes on the heels of one filed by several of Australia’s biggest banks at the Australian Competition and Consumer Commissions (ACCC), who are looking to collectively bargain for similar access to Apple’s NFC hardware in order to build their own mobile wallet applications. The Korean firms are not only using the Australian banks fight as precedent, but hope to achieve success against Apple in tandem with those banks, Korea NFC CEO Hwang Seung-ik told Business Korea. These fights could be lengthy. The Korean fintech firms plan to push forward with their complaint by holding another meeting at the end of September. Meanwhile, it’s likely the ACCC will release their decision about Australian banks in October, which could ultimately impact the future of the Korean firms’ complaint. And in the next few months, it’s likely we’ll see more firms from various countries across the world file complaints against Apple, which could put pressure on the firm to change the way it approaches access to its NFC hardware. Mobile payments are becoming more popular, but they still face some high barriers, such as consumers’ continued loyalty to traditional payment methods and fragmented acceptance among merchants. But as loyalty programs are integrated and more consumers rely on their mobile wallets for other features like in-app payments, adoption and usage will surge over the next few years. Evan Bakker, research analyst for BI Intelligence, Business Insider’s premium research service, has compiled a detailed report on mobile payments that forecasts the growth of in-store mobile payments in the U.S., analyzes the performance of major mobile wallets like Apple Pay, Android Pay, and Samsung Pay, and addresses the barriers holding mobile payments back as well as the benefits that will propel adoption. Measures mobile wallet user engagement by forecasting mobile payments’ share of their annual retail spending. OSLO, Norway–(BUSINESS WIRE)– Thin Film Electronics ASA (“Thinfilm”) (OSE: THIN.OL; OTCQX:TFECY), a global leader in printed electronics and smart systems, today announced it has been named the recipient of a 2016 IoT Evolution Asset Tracking Award for OpenSense™, its revolutionary NFC (Near Field Communication) product. Other companies receiving the award for 2016 include AT&T, Impinj, BioLife Solutions, and Sprint. OpenSense tags are thin, flexible labels that can detect both a product’s “factory sealed” and “opened” states and wirelessly communicate with the tap of an NFC-enabled smartphone. 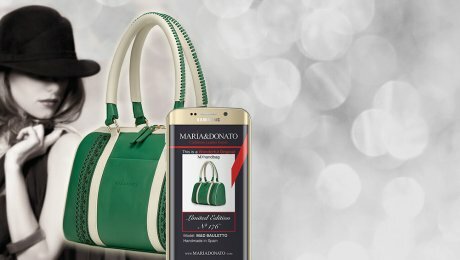 The tags, which are virtually impossible to clone, contain unique identifiers that make it possible to authenticate products and track them to the individual-item level using powerful software and analytics tools. In addition, the tags remain active even after a product’s factory seal has been broken, empowering brands to extend a targeted dialogue with manufacturers, supply chain partners, retailers, and consumers alike. Thinfilm is a leader in the development and commercialization of printed electronics. The first to commercialize printed, rewritable memory, the Company is creating printed systems that include memory, sensing, display, and wireless communication, all at a low cost unmatched by any other electronic technology. Thinfilm’s roadmap integrates technology from a strong and growing ecosystem of partners to enable the Internet of Everything by bringing intelligence to disposable goods.